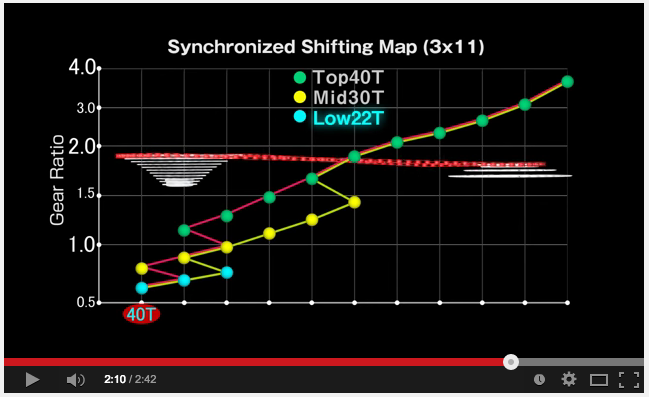 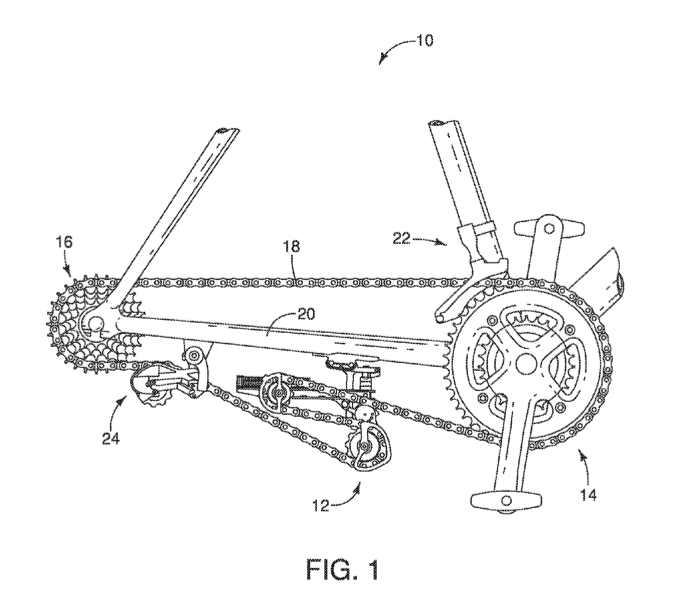 The trend in mountain and cyclocross is to drop your extra chainrings and your front derailleur to run a 1x system. 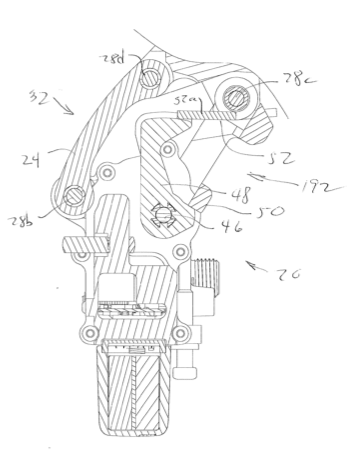 The hope is that removing the front derailleur will increase reliability and decrease weight. 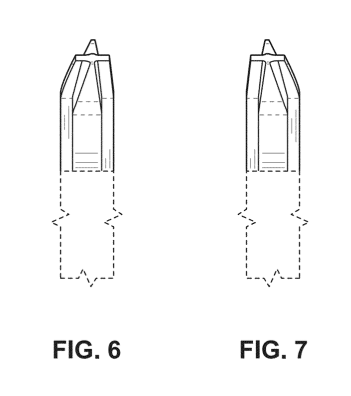 And, frankly, it looks pretty sharp. 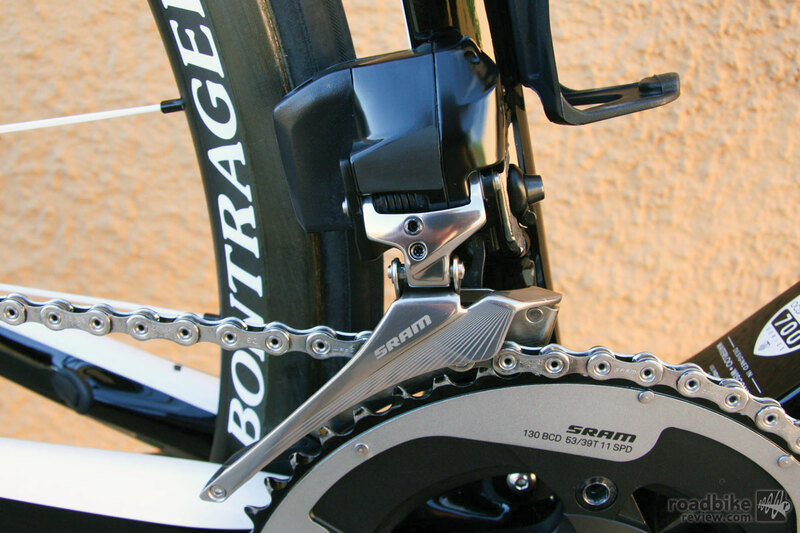 1x drivetrains used to require a chain guide to keep the chain on the chainring. 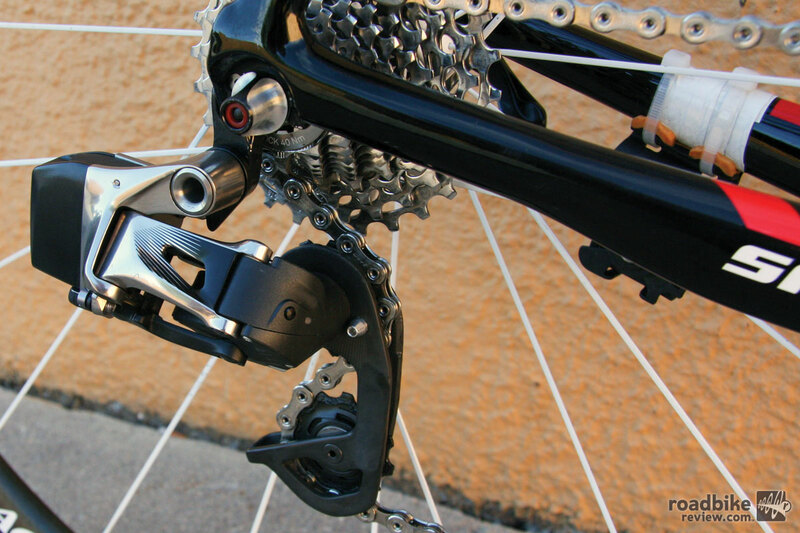 Clutched rear derailleurs, like Shimano’s Shadow Plus and SRAM’s Type 2, keep tension on the chain to decrease chain dropping. 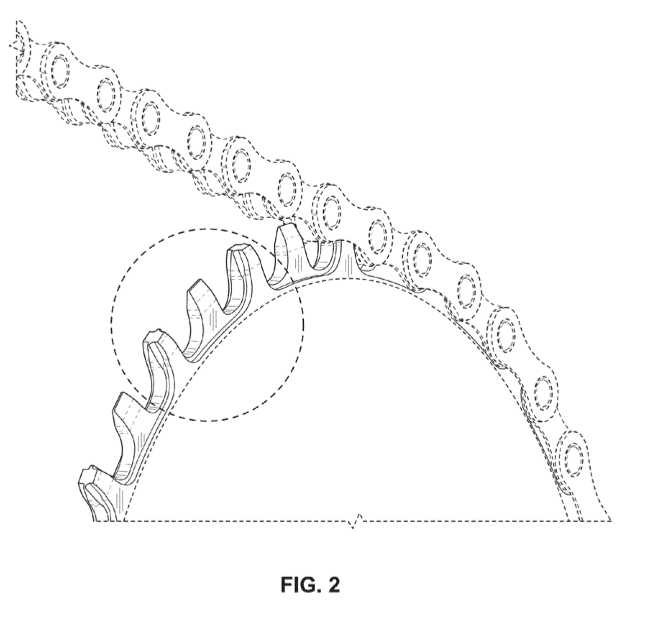 But, the narrow wide chainring is the final piece of the puzzle to reliably keeping the chain on without requiring a chain guide. 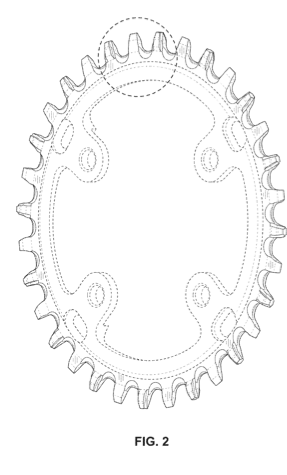 Narrow wide is pretty descriptive – teeth of the chainring alternate between having a narrow width and a wide width. 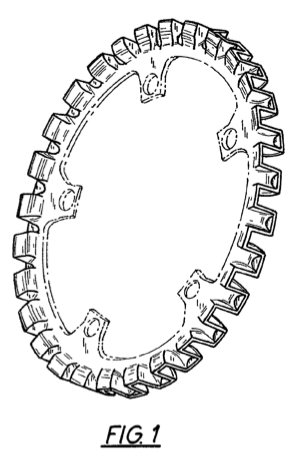 The wide teeth grip the links of the chain to hold the chain on the chainring. 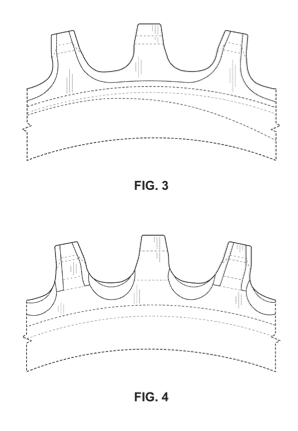 After SRAM’s introduction of the XX1 mtb drivetrain, several manufacturers introduced their own narrow wides – for example, RaceFace and Wolf Tooth. 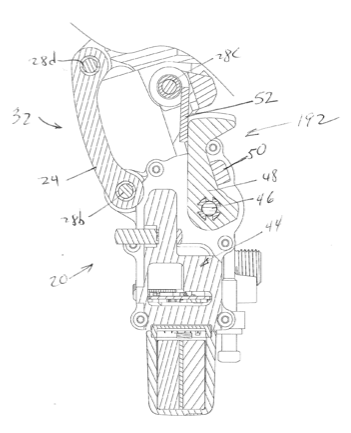 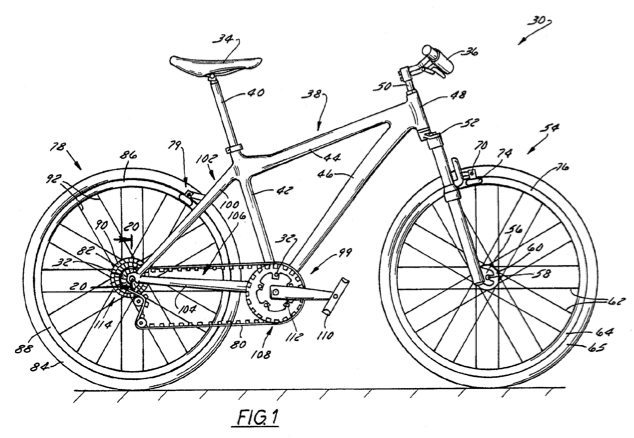 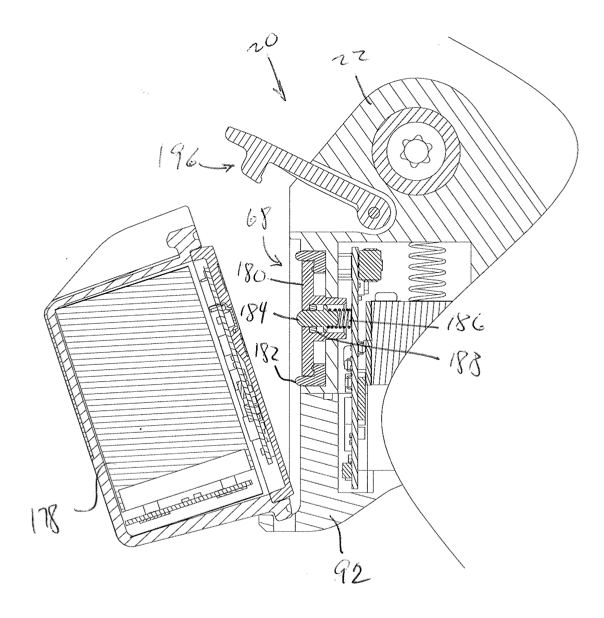 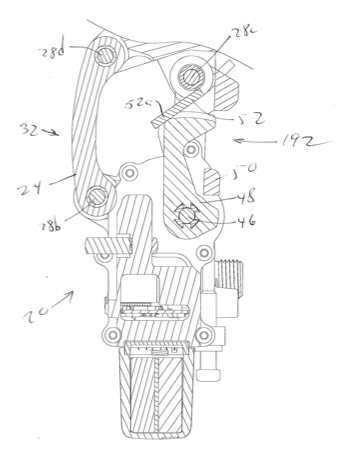 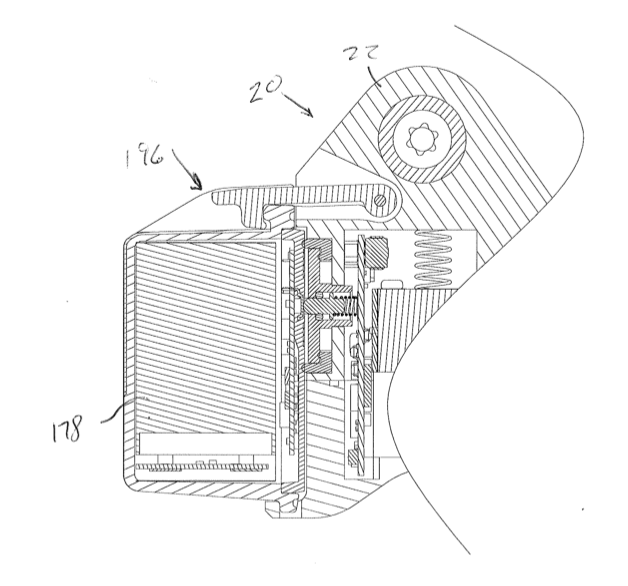 On October 21 and October 28, 2014, SRAM was awarded US design patents D715,699 and D716,191, respectively. 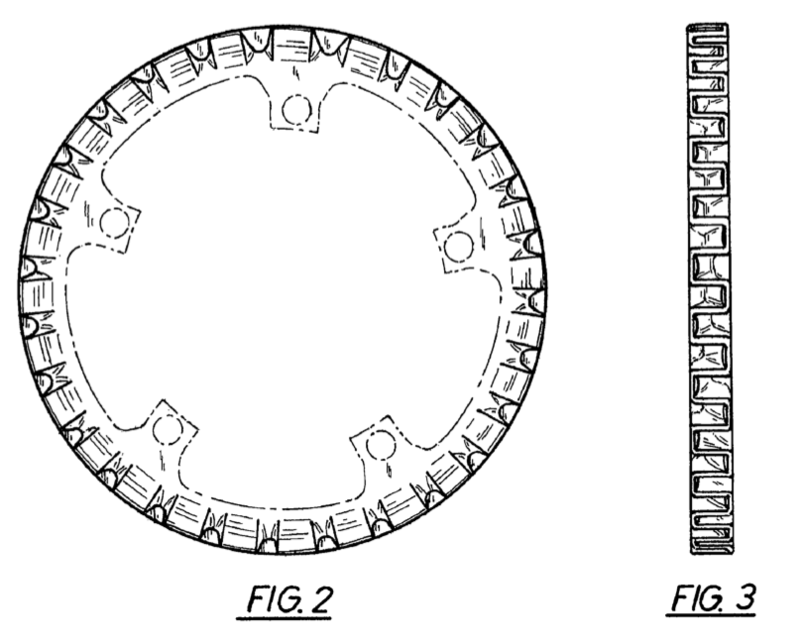 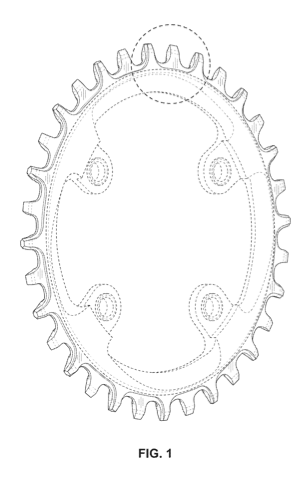 Both design patents are drawn to narrow wide chainrings. 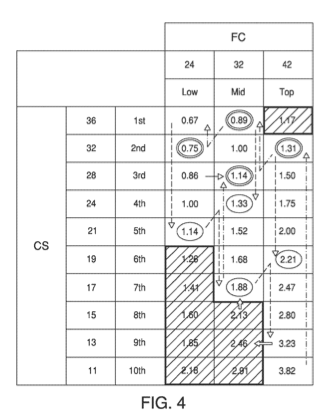 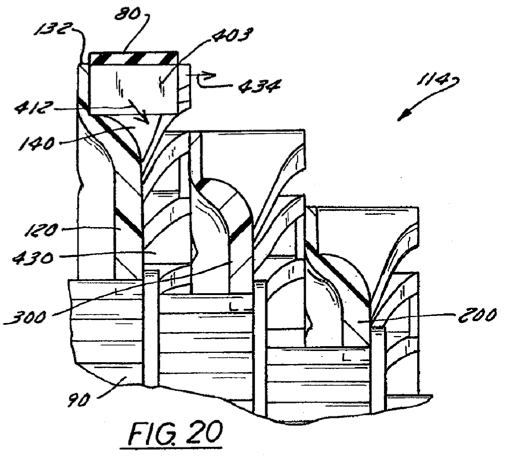 It is important to remember that it is the solid lines in the figures that define the covered, patented subject matter.